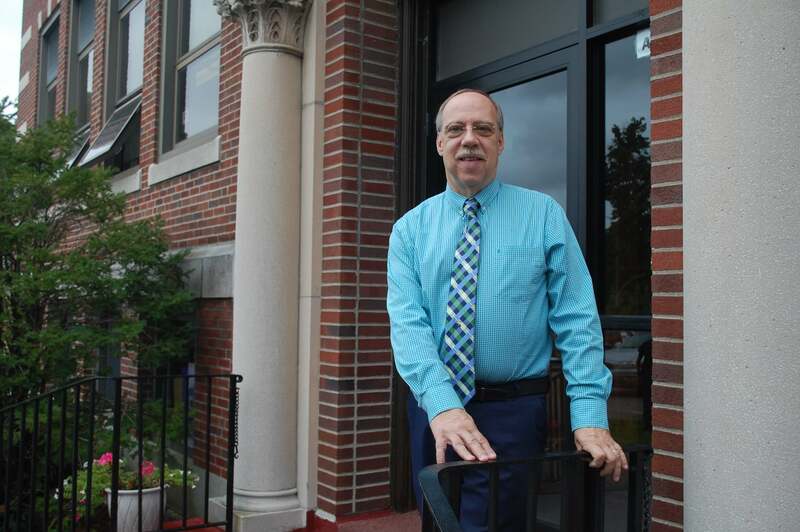 Photo Credit: Vermont Catholic/Cori Fugere Urban - David Estes, principal of The School of Sacred Heart St. Francis de Sales in Bennington, is one of the nine recipients of this year’s international Spirit of Holy Cross Awards. The principal of The School of Sacred Heart St. Francis de Sales in Bennington is one of the nine recipients of this year’s international Spirit of Holy Cross Awards. David Estes was nominated by Holy Cross Father Robert Wiseman, pastor of Sacred Heart St. Francis de Sales Church in Bennington and St. John the Baptist Church in North Bennington, and Father Hugh Cleary, parochial vicar. The Spirit of Holy Cross Award is given annually to lay collaborators who faithfully serve the Holy Cross province in the United States and abroad. It acknowledges the critical importance lay collaborators play in living out the vision and mission of Holy Cross founder Blessed Basil Moreau to make God known, loved and served through education, parish and mission settings. Enrollment is 187 — more than double what it was when Estes began teaching there thanks, in part, to the addition of grades. In addition to serving as principal, Estes teaches math and is involved with music and technology at the school. “His reputation throughout the Diocese is outstanding,” the priests added. He is involved in parish life as well as in the civic community. He and his wife, Judith, have two children, Peter and Hillary. Sacred Heart St. Francis de Sales parishioner Mary Flood received the Spirit of Holy Cross Award in 2016.